I’m sure that for anyone who keeps up with things on the internet, you’ve at least been introduced to the ideas set forth in this excerpt from a talk, but have you seen them so wonderfully animated? A great project from RSAnimate, which you can see a few more of on YouTube. 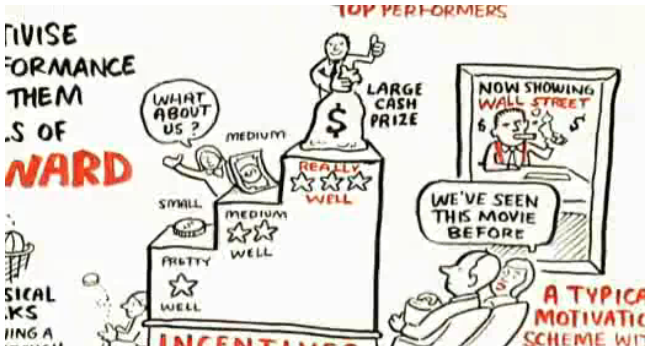 The excerpt is taken from a speech by Daniel H. Pink, illustrated by Andrew Park.